Is it shortbread or sugar cookie dough? It's a little bit of both and it works well for a variety of cookies; here is the master dough and 5 variations. In a mixer work the butter, egg, and sugar until the butter is light colored and the mixture is creamy; stir in the vanilla. Combine the flour and salt and gradually stir into the butter mixture. Divide the dough in half and remove 1/2 to a sheet of wax paper. Add the cocoa to the remaining half in the mixer and blend well. Remove the dough to another sheet of wax paper. With your hands form each half into a disk. Roll out each disk between two sheets of wax paper with a roiling pin to about a 13 x 10-inch rectangle. Place the rolled out sheets on a baking tray and refrigerate the dough for at least one hour. When ready to bake remove the dough from the refrigerator and cut each sheet in half so there are two plain pieces of dough and two chocolate pieces of dough. Place one piece of plain dough on top of one piece of chocolate dough on wax paper. Use the wax paper as a guide to help roil the doughs up together into a log like a jellyroll. Cut crosswise with a knife into pieces and place on parchment-lined baking sheets. Use a cookie cutter to cut shapes and place on baking sheets; sprinkle with sugar and bake as above. Roll small pieces of dough under the palm of your hand and shape, bake as above. Other shapes in rolled dough can include knots and figure eights. Shape mold small pieces of chocolate dough around Hershey kisses; then dip each one in confectioners sugar and place on bake sheets; bake as above. Use a round cutter to cut plain or chocolate circles; place a scant teaspoon of jam on one cookie and top with another cookie to make a sandwich, bake as above and sprinkle baked cookies with confectioners sugar. Tip: Re-roll scraps to make more cookies of various types. In a double boiler heat water until it begins to simmer. Place chocolate and oil in top of double boiler and turn off heat; when chocolate is melted stir to blend. Keep warm over double boiler and use to drizzle over top of baked cookies. Other options; brush cookies with egg white and sprinkle with finely ground nuts, or roll cookies in egg white then roll in finely shredded coconut. 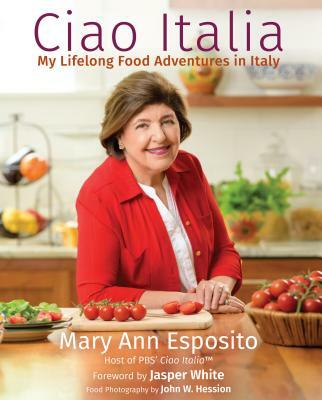 Maryann, thank you for being so generous as to share all your wonderful recipes! I love your show! Please tell me what ingredient or ingredients in biscotti would make the cookie "rock-hard"?